Paris Lalicata Calatheas fold their leaves inas a defense mechanism to “shield” themselves. It could be too much sun light, too low humidity, or a combination of both. Move the plant a few more feet away from the window, and maybe try putting a pebble tray with water underneath the pot to boost humidity. And misting as much as you can! Andrea Thank you so much for your reply! I truly do appreciate it. When I received the plant it said to wait until the soil is half dry and then water. Do you keep your soil moist? Thanks again! I will plan to mist and then also place in the bathroom when showering! Paris Lalicata Yes it’s always good to let the top two inches at least dry out in between waterings to prevent the soil from being “wet” and getting root rot! 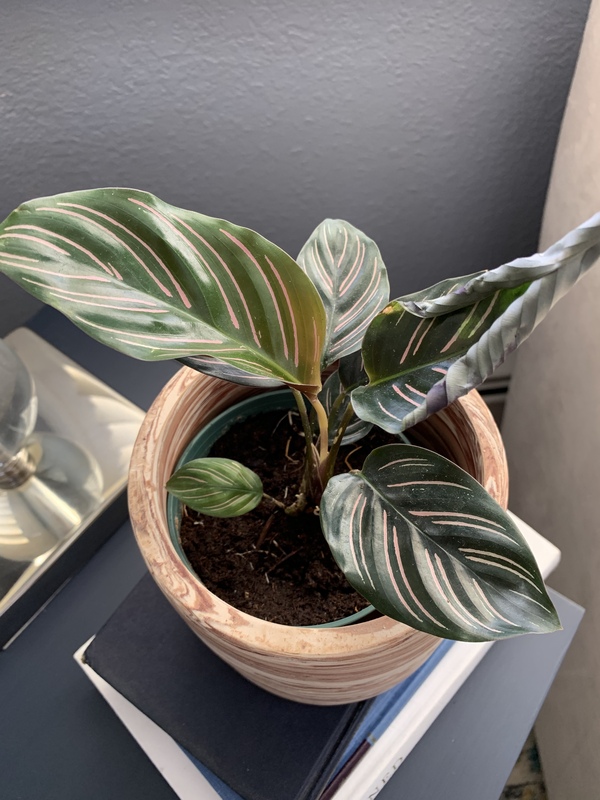 Some plants like to dry out completely before rewatering, but you should never let your Calatheas soil become bone dry and that’s why I used the word moist!